I have reviewed a number of albums recently where the piano strings have been muted in one way or another, allowing for all of the sounds of the piano’s internal workings to be heard in addition to the “usual” sound of the hammers and strings. I have also reviewed several albums that were recorded on old pianos that had fallen into disrepair, capturing the unique sounds of those instruments. These recordings can be hauntingly beautiful, but I didn’t really think about this being a possible reaction to the more “sterile” sound of digital pianos until I read Piacenza’s description of this album. He goes on to say: “it’s only me at night and my beloved Petrof upright (modified with a special ‘double felt’ to soften it even more).” Each of the eleven pieces was recorded as an improvisation and then reconstructed and restructured. 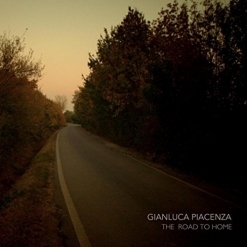 Piacenza suggests that the album be listened to as a whole “since there is a sort of circularity and unity thanks to recurring musical patterns and intervals, and also a dramatic development that culminates into the last track ‘Moonlight Walk,’ written to celebrate Piano Day.” I agree - this is not an album for casual listening or background music, and to fully appreciate the beauty and subtlety of the music, you need to really listen to it. The Road To Home is definitely not a mainstream solo piano album, but if you are interested in a more experimental approach to this instrument and the creation of music for it, you really should check this one out! It’s very beautiful, but very subtle. The album is available from Amazon, iTunes and CD Baby.